We often get asked whether air conditioner tune-ups are really necessary. And, to be honest, they aren’t a necessity. However, annual tune-ups can go an impressively long way toward helping the efficiency and longevity of your system. Think of a tune-up a bit like getting an annual physical, but even more useful. It’s a great way to ensure your air conditioning unit is in good working order and check that there are no warning signs of impending trouble. We recommend having your air conditioning tune-up done separately from your furnace tune-up; schedule both at the beginning of the season in which they will start being used for optimal results. The reason we suggest scheduling your tune-up for the start of the season is that it works as a sort of head start for your air conditioner. All through winter and early spring, your air conditioning unit has sat dormant, so there can be a lot of dust and dirt built up. A tune-up helps clear away the gunk and ensure it’s in good working order before you switch it on. If your HVAC system is still within the warranty period, regular tune-ups by an HVAC service may be a part of the stipulated care requirements to keep your warranty valid. If something were to happen to your air conditioner, you’ll want that warranty coverage, so make sure you’re keeping up with any care requirements listed on your warranty. Keep in mind, however, that you shouldn’t stop scheduling annual tune-ups when your warranty period ends. Even more important than your warranty, as far as we’re concerned, is that annual tune-ups are designed to catch potential issues while they’re still potential, not actual. After all, paying for maintenance is a lot less expensive than paying for repairs. 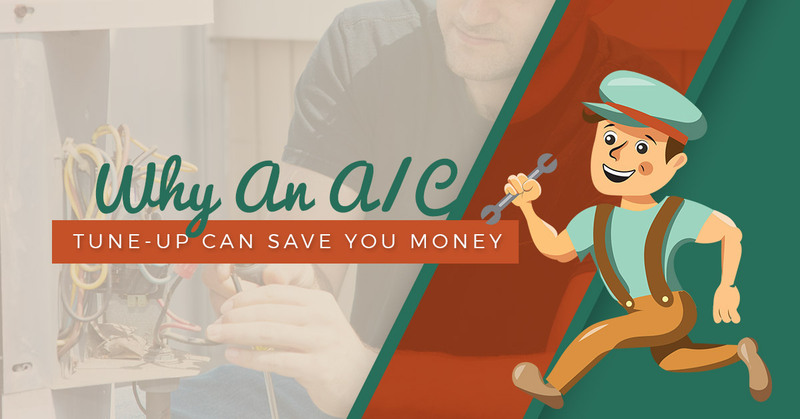 That annual air conditioning service, especially when done before you run it for the first time that year, can catch problems when the fix is easy and inexpensive. Regular air conditioning service also helps extend the life of your system. Your HVAC technician will do a thorough check to ensure everything is working as it should, nothing is clogged, and coolant levels are where they should be. It’s a bit like getting regular oil changes to keep your car running smoothly. Ultimately, this can help your A/C live longer and even improve efficiency. If it’s time for a tune-up, contact Comfort Pros Heating & Cooling in Lee’s Summit to schedule.